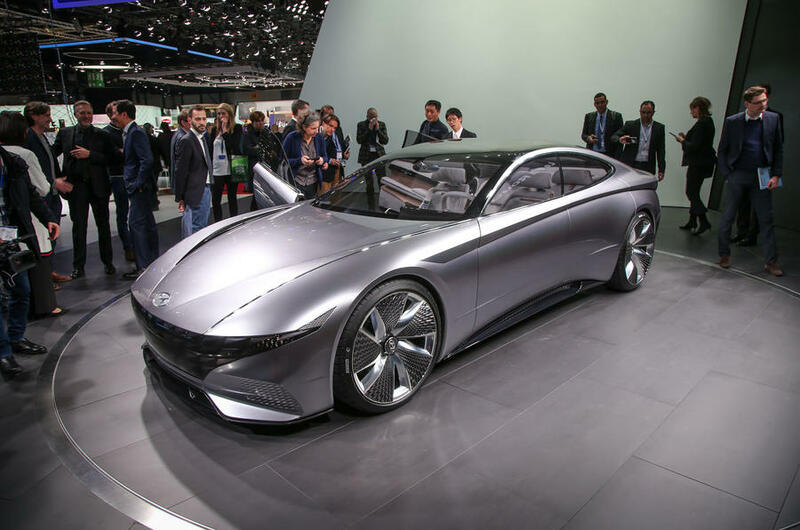 Hyundai revealed a new concept at this year’s Geneva Motor Show, named “Le Fil Rouge”. The phrase translates into English as “the common thread”. It may seem an unusual name for a very lavishing and stunning concept, but it does make a lot of sense. 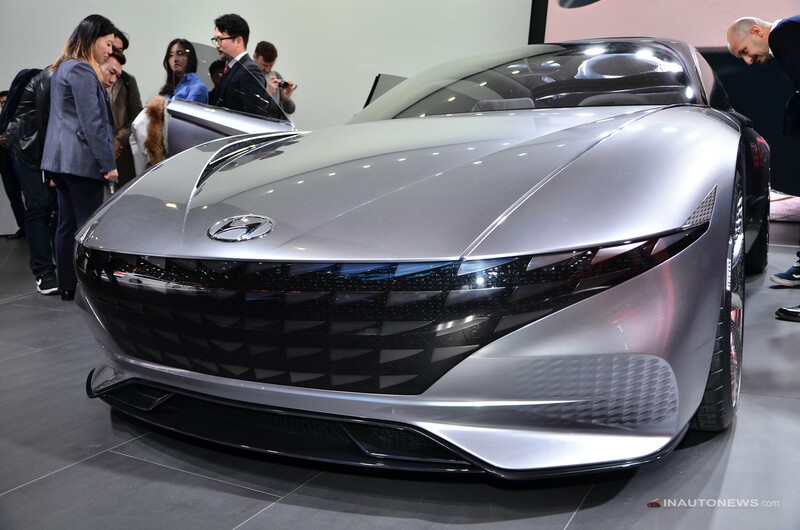 This concept has a very high significance in the future of Hyundai as all of the future models will borrow design elements from this concept. Regardless of the type, whether it is a sedan, a hatchback, or a crossover, “the common thread” will be found in all of them. Makes a lot of sense now, doesn’t it? 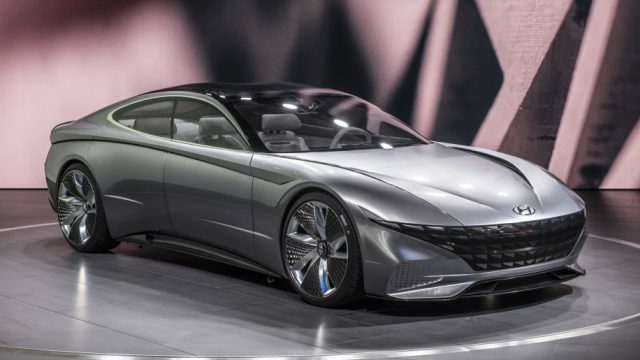 Hyundai has told that another reason for this name is that this concept has been built upon Hyundai’s past designs and is a reinterpretation of the company’s 1974 Coupe Concept. The stunning design deserved quite some gasps during its revelation. If the future Hyundai models take design traits from this stylish vehicle, we can safely say that Hyundai is about to produce some very good-looking automobiles. Hyundai claimed that the theme of the car that they wanted to go for is “sensuous sportiness”. And you can clearly see from the design that it does look sporty with curvy, low-slung, coupe-like design. 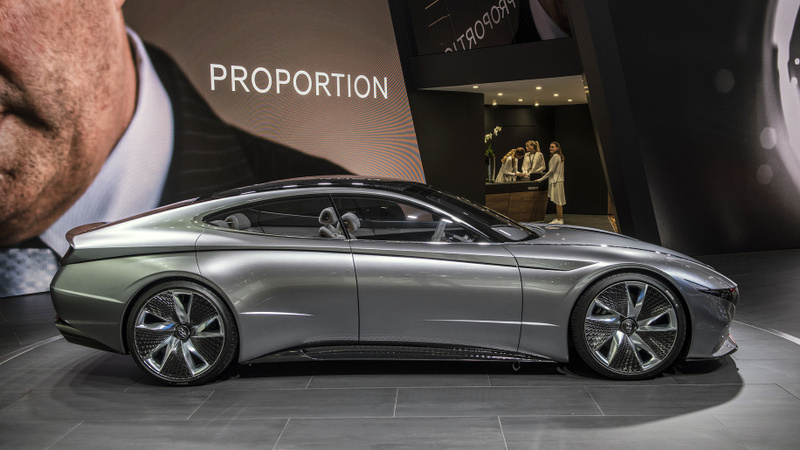 The nose of the concept vehicle is very low and s covered by a huge Hyundai’s corporate grille. The design might feel a bit familiar to you if you have taken your time to admire the Aston Martin’s Lagonda Vision Concept. Looking at the design, you can be sure that it will be easy to transform this design into a number of different vehicle types that Hyundai has planned to use this concept for. 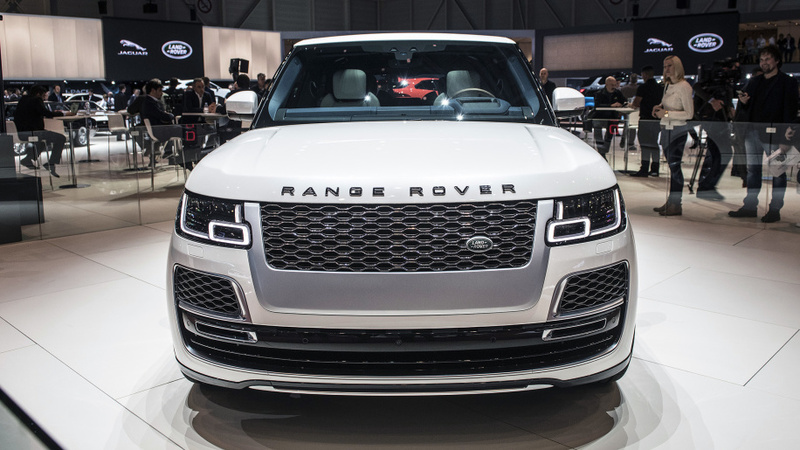 2019 Range Rover SV Coupe: More luxury, less doors!